Today, 31 December 2015, Bahraini authorities summoned five prominent activists for interrogation over speeches they delivered at an event for solidarity with detained opposition leader Sheikh Ali Salman. 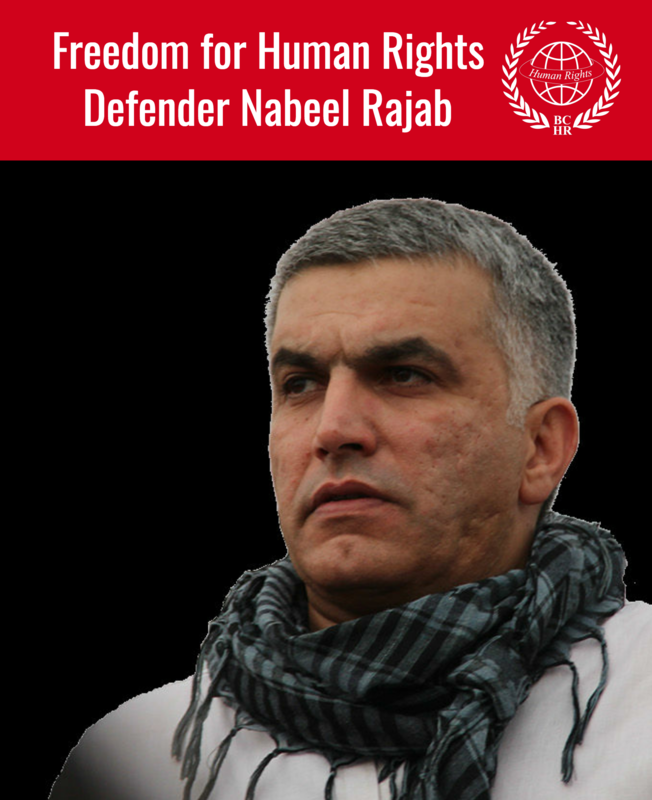 The Bahrain Center for Human Rights (BCHR), Americans for Democracy & Human Rights in Bahrain (ADHRB), and the Bahrain Institute for Rights and Democracy (BIRD) condemn the Bahraini government’s continued targeting of human rights defenders and political opposition leaders. On 26 December 2015, human rights defender Sheikh Maytham al-Salman, Al-Wefaq political society leaders Khalil Marzooq, Sayed Jameel Khadem and Sayed Mohammed al-Ghuraifi, and Wa’ad political society Secretary-General Radhi al-Mosawi delivered speeches at a public event at Al-Wefaq headquarters. The event was held in solidarity with Al-Wefaq’s detained Secretary-General, Sheikh Ali Salman. Following the event, government loyalists called for the prosecution of those activists for insulting the king. On New Year’s Eve, security forces summoned the four political opposition leaders and the human rights defender for interrogation at the General Directorate of Criminal Investigations (CID). According to their lawyers, Khalil Marzooq and Sayed Mohammed al-Ghuraifi were taken to the public prosecution over charges of inciting hatred against the regime. This is not the first time that these activists have faced harassment by Bahraini authorities. Sheikh Maytham al-Salman, who is known for his human rights work in relation to religious freedom and anti-extremism, was arrested earlier this year from the Bahrain airport. He was transported to the CID, where government agents interrogated him for hours regarding remarks in which he expressed concern over the government’s use of collective punishment. He was later accused of inciting hatred against the regime. Sayed Jameel Kadhem was arrested, detained and sentenced to months in prison over a tweet critical of the government. Similarly, Khalil Marzooq was arrested and charged with inciting hatred and incitement to overthrow the regime over a speech he delivered at an al-Wefaq meeting. Bahraini authorities have recently escalated their crackdown on opposition political societies. The General-Secretaries of three opposition political societies are in detention, including Sheikh Ali Salman, who is serving a sentence of four years in prison; Fadhel Abbas, who was recently sentenced to five years in prison; and Ebrahim Sherif, who was re-arrested shortly after completing a five-year prison sentence on political grounds. Over the past year, many members of opposition societies were summoned and interrogated over charges related to the exercise of free expression and opinion over social media or at public events. Bahraini authorities have intensified their targeting of free expression and have applied further restrictions to the work of political societies in Bahrain by either prosecuting activists and members of these societies or by passing additional restrictive laws. 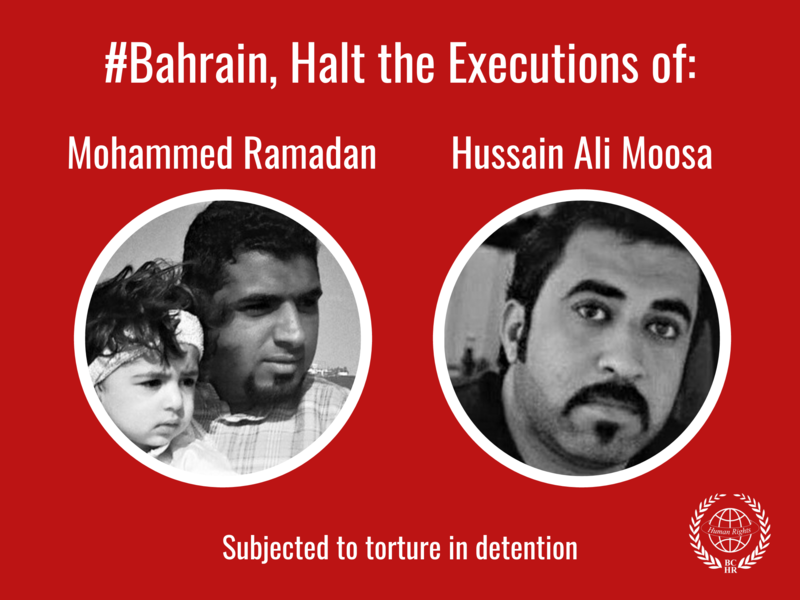 BCHR is concerned over this serious deterioration of the human rights situation in Bahrain, as well as the country’s total disregard for the international community's calls to implement real reform. Guarantee respect for human rights and basic freedoms according to international standards for human rights.